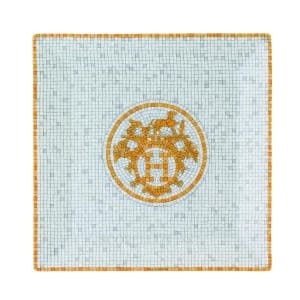 We are official distributor of Luxury Hermes Porcelain. Mosaique Gold collection reflects the store’s original color scheme of ochre and grey, as well as the signature Greek-style frieze that shines in gold from its central place upon the sandstone mosaic floor at the heart of the boutique. 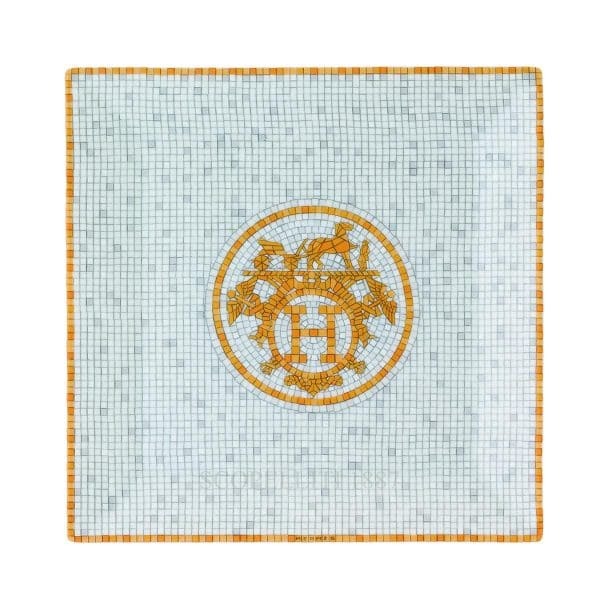 And above and beyond these specific evocations, this setting brings to your table shades of Greek classicism, modern sophistication, and contemporary design—all elements of the particular elegance that Hermes has come to represent. 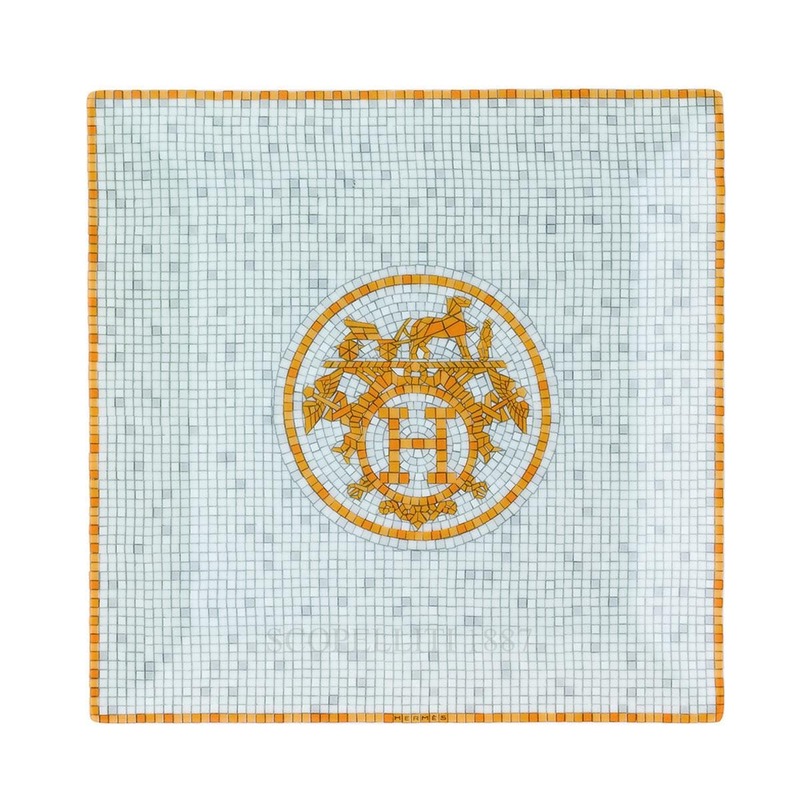 This hypnotic and tantalizing dinnerware is the brand’s calling card, a true homage to the ochre and gold scheme of the original store in Paris at 24 Faubourg Saint-Honoré and specifically to the sandstone floor mosaic at the heart of the boutique which dates back to 1926. The painstaking combination of minute geometric Greek mosaics and friezes, in shades of grey and ochre splashed with touches of brilliant gold, create striking patterns which rim each item of the table setting and lime lighting in a majestic yet natural way the house’s signature emblem, namely the open drawn royal carriage and the silhouette of its standing driver with his elegant top hat. Limoges porcelain. Dishwasher safe. Made in France.